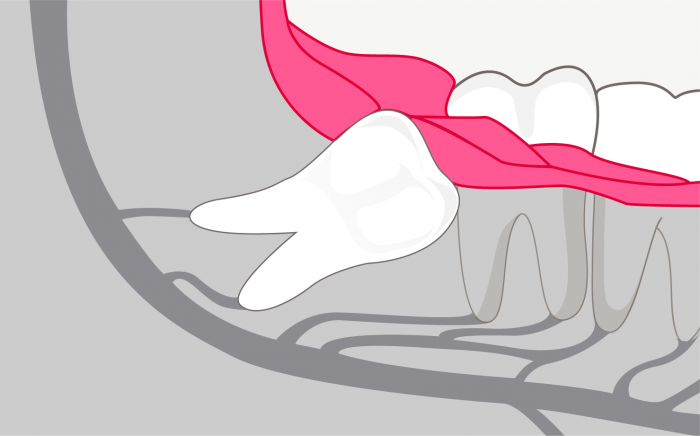 Wisdom teeth, or third molars, are the last teeth to develop and appear in the mouth. They are called “wisdom teeth” because they usually appear during a person’s late teens or early twenties, which has been called the “age of wisdom”. 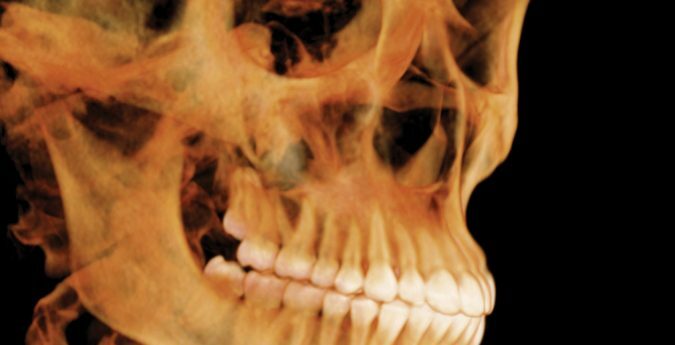 The jaws of modern humans are usually not large enough to accommodate the four wisdom teeth. 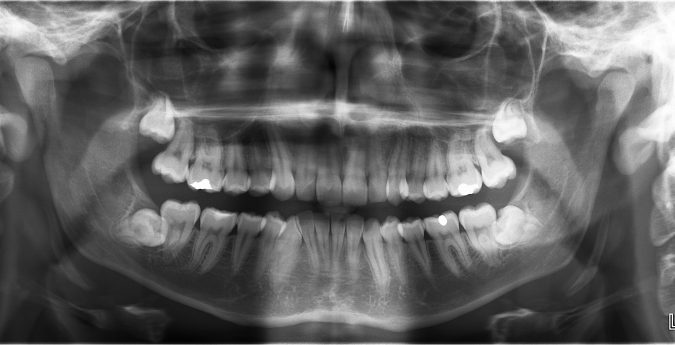 This is why wisdom teeth cause a lot more problems than any other teeth. In fact, for nine out of ten people, at least one wisdom tooth remains underneath the gum due to lack of space in the mouth. 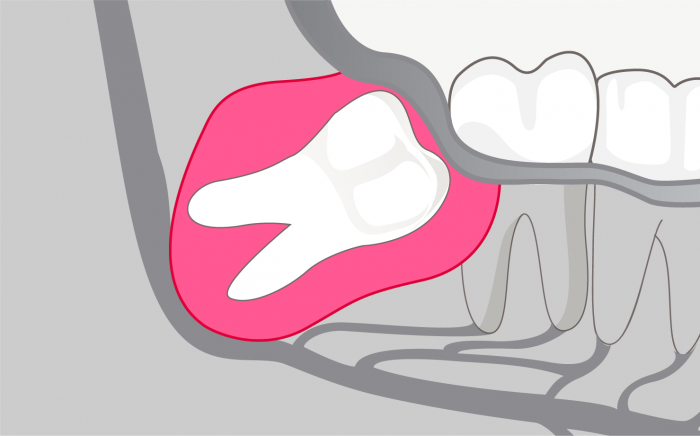 When a wisdom tooth is blocked from erupting or coming into the mouth normally, it is termed “impacted”. A tooth may be partially impacted, meaning it grows in crooked and breaks through the gum only partially, or it may fail to break through at all and thus remains totally impacted. Serious problems can develop from an impacted or partially impacted tooth, such as pain, infection, cysts or tumors and crowding of, or damage to, adjacent teeth. Many problems with wisdom teeth can occur with few or no symptoms. There can be significant damage without you knowing it. 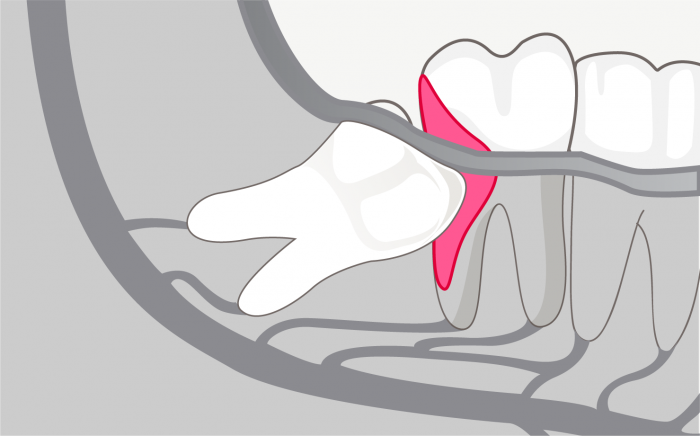 It is important to know that as wisdom teeth develop, their roots become longer and the jaw bone denser. Thus, as a person grows older, it becomes more difficult to remove wisdom teeth and complications can become more severe. In addition, as people age there is an increased chance of seeing the symptoms mentioned above. For these reasons, the surgeon may recommend the removal of wisdom teeth even if they are not yet causing obvious problems, particularly for young adults. A complete medical history will be obtained, with particular attention to allergies, medications or health problems that might affect surgery and/or administration of anesthesia. It is important that you provide complete information, particularly about medications you may be taking, in order for the surgeon to have an accurate, recent and complete assessment of your health prior to recommending any surgery. » intravenous sedation to relax you. Only certified specialists, like the ones at Montréal Maxillo-Facial, can use this technique. Your surgeon will fully explain the type of anesthesia that is most appropriate for your needs.